Credit: Image courtesy of the Bureau of Land Management. A few years ago, excitement about the next generation of geothermal energy technology — called enhanced or engineered geothermal, or EGS for short — was at a high point. Google advocated funding for the tech before Congress as part of its now defunct “RE<C” project, while the Department of Energy provided substantial financial support for it through the stimulus program. Around the same time, MIT published an influential report that concluded that the tech could provide a massive amount of low-cost energy by 2050 with a reasonable amount of investment. Why such exuberance? 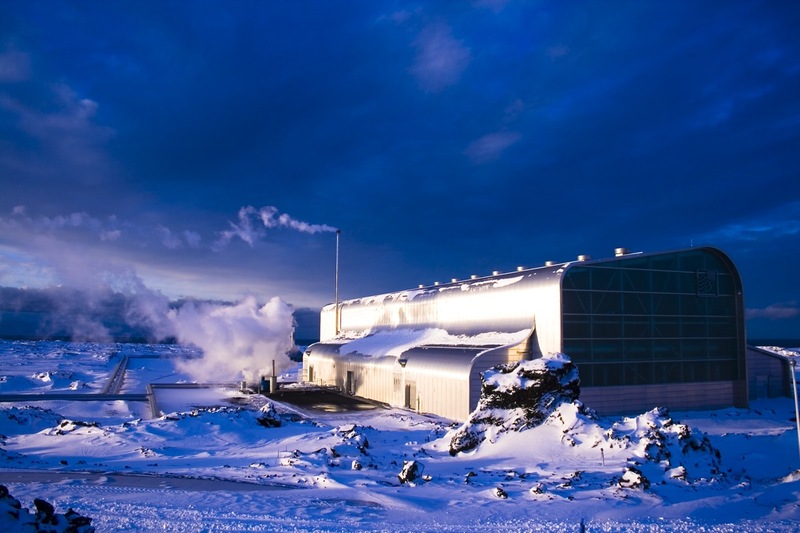 Traditional geothermal power plants tap into the somewhat rare earthly occurrence of hot underground rocks meeting significant water or steam, which can be pushed to the surface and then recirculated to keep a plant running. States like Nevada and California have these types of spots, as well as countries like Indonesia, Ethiopia, Kenya and others. Geothermal wells can provide an important source of consistent, inexpensive clean power. By comparison, other clean power resources, like wind and solar, only generate energy at certain times (during the day, or when it’s windy). The Newberry site, where AltaRock demonstrated it could produce fractures at multiple zones. Image courtesy of the Bureau of Land Management. But many places in the world don’t have these naturally occurring wells, and many of the easily accessible, known geothermal wells in developed countries have already been tapped. 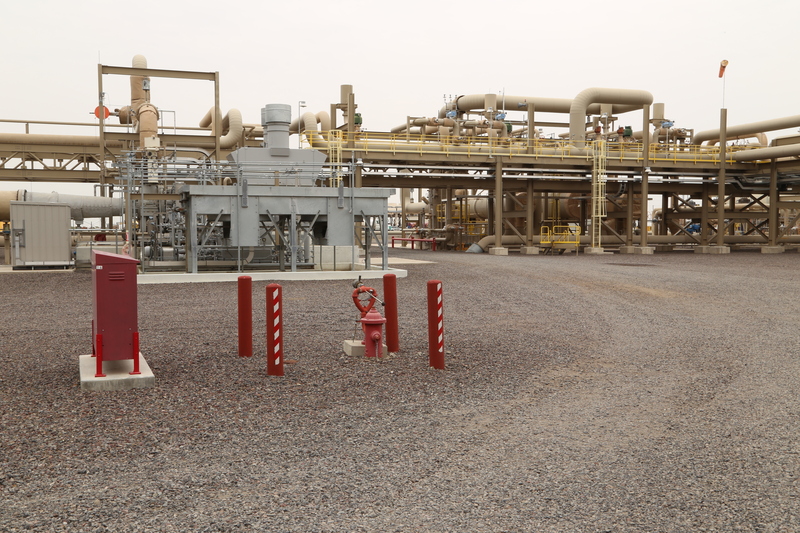 There are about 700 geothermal projects either under development or deployed throughout the world, according to the Geothermal Resources Council, and about 12 GW of total geothermal energy capacity as of this year, according to Bloomberg New Energy Finance. That’s a very small fraction of the world’s energy demands. Enhanced geothermal systems are exciting because they can create geothermal wells where there weren’t naturally occurring wells already. Similar to fracking, the systems use technology to pump water underground (either into a drilled well or an opening in the Earth), to produce new cracks in rocks and to maintain pressure to get hot water or steam flowing. And as with fracking, the tech breakthrough, in theory, could help open up geothermal power around the world. It sounds straightforward enough, but right now there are only about 3 to 5 MW of enhanced geothermal systems online globally, according to Bloomberg New Energy Finance’s geothermal analyst Mark Taylor. The authors of the MIT study published in 2006 estimated for 100 GW by 2050 (1,000 MW equals 1 GW), and even though that’s almost 35 years away, the slow pace of EGS projects means that the estimate could still end up being too high. Ormat’s Steamboat Complex produces enough geothermal power to run the city of Reno. Image by Katie Fehrenbacher. In a windowless room on the bottom floor of a sprawling casino in Reno, Nevada, sat two road-weary startup execs who know better than anyone how hard it is to get a brand-new EGS power project up and running. Susan Petty, AltaRock co-founder and CTO, and Aaron Mandell, AltaRock CEO, weren’t at the casino to gamble; they traveled to Reno for the Geothermal Energy Association’s annual summit, and they represent the rare tech-driven, venture capital-backed startup at the event, amid the couple hundred attendees from power companies, utilities and traditional geothermal vendors. Founded in 2007 during the wave of excitement around EGS — and funded by Khosla Ventures, Google.org, Advanced Technology Ventures, Kleiner Perkins, and Paul Allen’s Vulcan Capital — AltaRock has been working on commercializing its technology for years. But it turns out it’s actually the traditional geothermal industry that could potentially use the tech the most. “Greenfield EGS is the end game, but under the current economic conditions, it just doesn’t work out,” Petty told me. Greenfield sites are creating brand-new wells and power producing plants that weren’t previously producing power. The Bottle Rock Power Plant in the winter, just north of Napa Valley. Image courtesy of the Geothermal Resources Council. 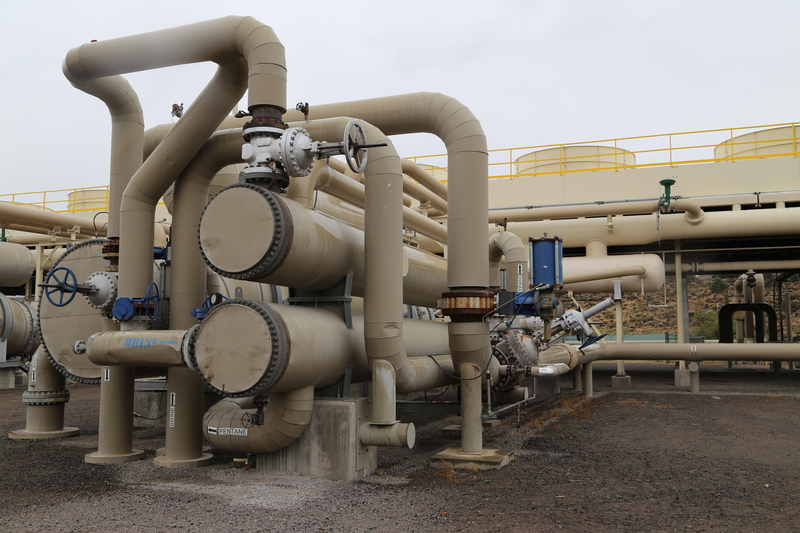 Instead of focusing on building new EGS sites, AltaRock is now working on using a variety of EGS technologies to improve, or stimulate, under-performing older geothermal wells. The company is starting to see some progress. Since the beginning of the year, AltaRock has been implementing its technology at one of the oldest geothermal fields in the U.S.: the Bottle Rock Power plant within the Geysers field, just north of Napa Valley in California. The Bottle Rock Power plant, like many of the sites in the expansive Geysers field, has operated significantly under capacity for years. In the late 1990s, the county started injecting waste water into the sites to boost the capacity, but many are still below the levels at which they were contracted to produce power. Riverstone Holdings and U.S. Renewables Group own the Bottle Rock Power plant, AltaRock is the operator, and California utility PG&E buys the energy from it. AltaRock plans to improve the capacity of Bottle Rock by up to 50 percent over two phases. How? By implementing technology called hydro-shearing. AltaRock can stimulate the well by injecting cold water into it, combined with particles of a material that can temporarily plug parts of the well and enable many more tiny cracks to form within the reservoir. AltaRock combines this tech with engineering work to make other parts of the plant more efficient, too. A geothermal power plant in Iceland. Image courtesy of Einar Ragnarsson, Flickr Creative Commons. 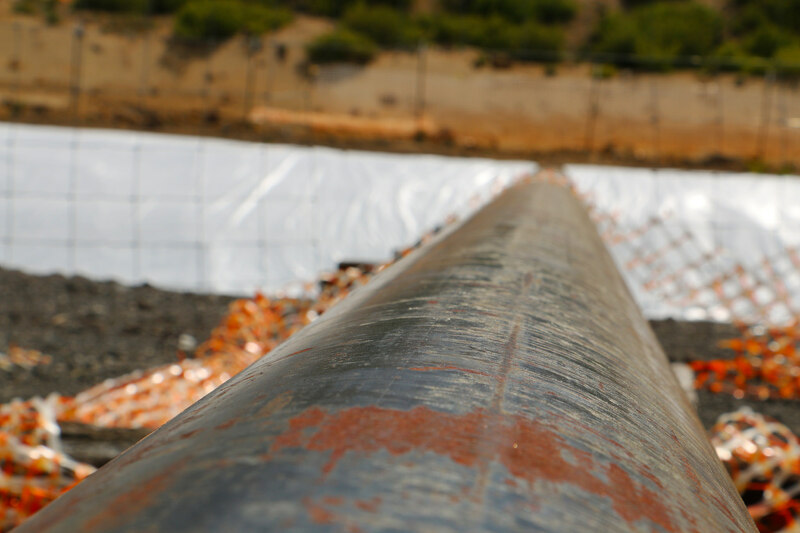 More cracks in a single well can make wells more productive, and it’s much cheaper than developing a brand-new site, particularly an EGS site. Mandell says the cost of “repowering” a geothermal site using stimulations can be between $300,000 to $600,000 per well, or $23 per MWh for the levelized cost of electricity. Building a new geothermal site using traditional tech, meanwhile, can cost between $3 million and $8 million per well, or around $80 to $110 per MWh in the U.S. depending on the location, according to Bloomberg New Energy Finance. Bloomberg’s Taylor notes that this cost is for competitive projects that have a good chance of getting built, but it can be much higher, too. And for new EGS sites, the cost is even higher than that. AltaRock’s Petty said the company has attracted a lot of interest from owners of under performing geothermal sites. In addition, she said the stimulation technology can also help reduce the risk for companies that want to drill new geothermal wells. The biggest expense and hurdle for the geothermal industry is finding and drilling new wells, and the success rate of early exploratory well drilling can be as low as 50 percent (meaning that half the drilled wells don’t meet expectations). But if companies have the option of stimulating a newly drilled but underperforming well with AltaRock tech, it can help mitigate the risks of those initial costs. The geothermal plant at Stillwater. It was built in 2009. Image by Katie Fehrenbacher, Gigaom. As a result of these new businesses in the traditional geothermal sector, AltaRock has formed a new type of “yieldco” for geothermal projects, called Baseload Clean Energy Partners, to acquire and repower geothermal assets. A Yieldco is a separate subsidiary that an energy company sets up to enable investors to capture the long-term, predictable cash flows from a suite of energy projects by providing low cost equity funding. Yieldcos have become common, and quite successful, for solar projects. Since AltaRock’s EGS tech is so new, though, it remains to be seen how much the tech would mitigate the risk and what the return would be for the investor. However, large geothermal companies are beginning to look at using new types of financing to fund early stage geothermal drilling. Bloomberg New Energy Finance’s Taylor published an influential report on this emerging trend last spring. The biggest barrier to bringing AltaRock’s technology to the commercial marketplace isn’t necessarily technology, but financing. 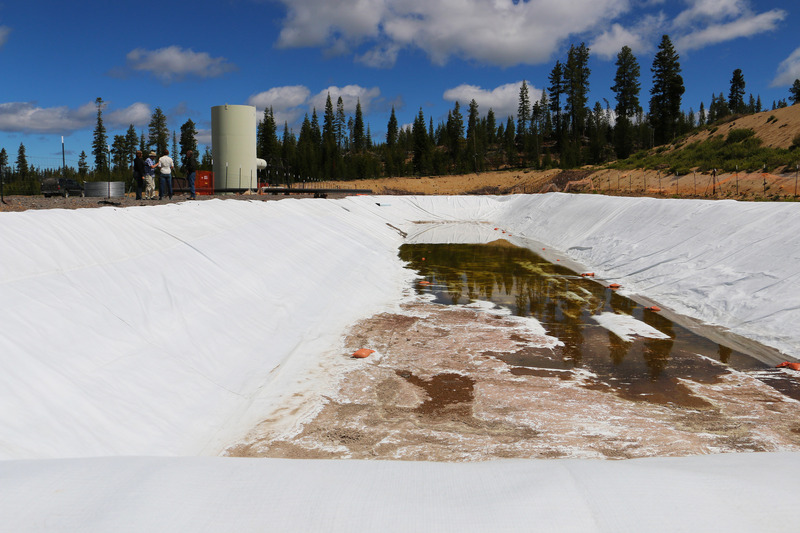 The company built a Department of Energy-supported EGS demonstration project at the Newberry Volcano in Oregon. That project, the only one from the DOE program built on a greenfield site that wasn’t already producing power, was initially funded by $21.4 million from the DOE, out of the stimulus program. The Newberry Geothermal site, recently stimulated by AltaRock. Image courtesy of the Bureau of Land Management. A year ago, AltaRock was able to show it had created multiple, stimulated geothermal zones from the single drilled well at the Newberry site. That’s a very big deal — a first — in the geothermal industry, and this week the Geothermal Energy Association awarded the company for its work. The site is important because it acts as a proof concept that rock permeability can be controlled and “engineered” using stimulations. But the next steps at Newberry are to find another $22 million in matching funds, drill another well at the site and get the power plant up and running. A goal stated last year, was to get the plant producing power in 2016. But the company has had troubling closing the funding. Venture capitalists, in particular, have fled from backing cleantech companies. Kleiner Perkins, which was an early investor in AltaRock, has taken a lot of hits for its aggressive commitment to cleantech several years ago. AltaRock has now done seven successful well stimulations, and for EGS — a technology that has long been just R&D — that’s remarkable. Now the company needs to continue the long, hard slog to get the geothermal industry, and investors, comfortable with its technology. AltaRock isn’t the only group interested in EGS. 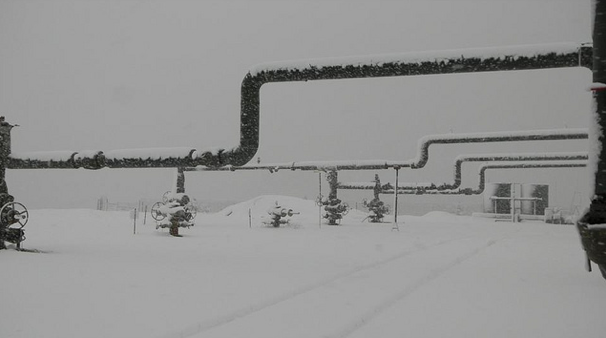 Ormat used DOE support and worked with partners to increase the capacity of a hot, non-commercial geothermal well at its Brady facility outside of Reno by 38 percent. The DOE recently announced plans to develop a new EGS-focused subsurface laboratory, which will eventually lead to more support for an EGS demonstration site. Meanwhile, the traditional geothermal industry continues to grow, albeit slowly. Bloomberg New Energy Finance predicts that, in an optimistic scenario, there could be 30 GW of geothermal capacity in the world by 2030, up from close to 12 GW this year. Yeah, it’s not such a high growth rate, particularly compared to the current boom in solar. But if EGS can crack open the potential of geothermal, perhaps it could kick that growth rate into a much higher gear. Nice article Katie. You have a good grasp of the issues facing the industry. I hope you’ll be able to attend the Geothermal Resources Council (GRC) Annual Meeting & GEA Expo, September 28- October 1 at the Oregon Convention Center in Portland, Oregon. http://www.geothermal.org/meet-new.html This is the largest annual geothermal energy event in the world. Correction: http://gigaom2.files.wordpress.com/2014/08/screen-shot-2014-08-06-at-7-55-55-pm.png?w=708 Image courtesy of Geothermal Resources Council. @Ian Crawford, Thanks, fixed the Flickr attribution. Hopefully I can be there. @Stephan B Feibish, potentially tough and small market. Ormat is doing OK. Put a small amount in U.S. geothermal stocks. Lost everything. Be forewarned. After making a good gain on silver in 2010-2011, I listened to a “guru” who said invest in four U.S. geothermal stocks, and in 10 years you’ll make money. I put a small amount down (thank God) on all four U.S. geothermal stocks. And they promptly went to near zero. So be forewarned before you invest in geothermal.